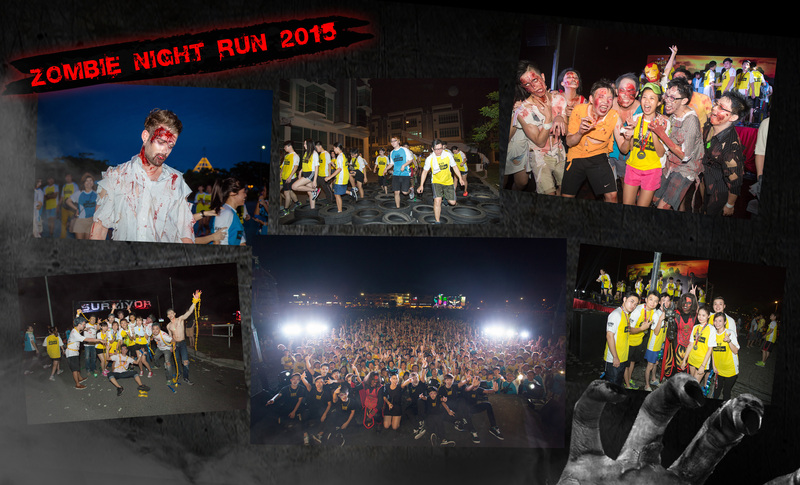 ZOMBIE NIGHT RUN 2 IS BACK! 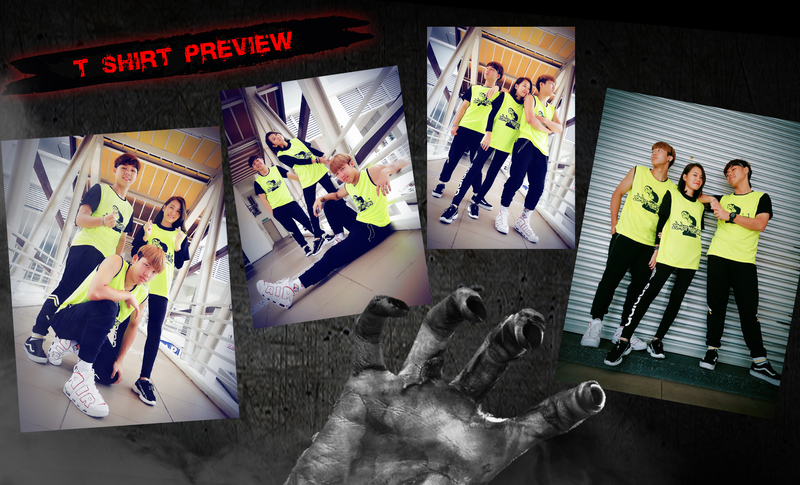 On 6th October, LOST in JB invites all of you to enter the exhilarating world of zombies! 3 years ago, LOST in JB presented the first ever zombie run event in Johor Bahru, transforming the Sutera area into a scene from zombie horror movies. Not only did participants have to complete their route, they also had to overcome obstacles, avoid the terrifying zombie squad, all while protecting their “lifelines”. It was truly a journey full of scares and surprises. For this years’ event, we have also learnt a lot from our previous experience, and we will be making various improvements to give everyone a better experience. We have shifted the location to ECO BUSINESS PARK 1 (Phase 2), where the roads and wider and traffic is more orderly. The route will also be split into various zombie stages, get ready to enter a zombie world with more variation and surprises! For one night, we want everyone to put down their phones and let their worries go, be prepared to lose yourself in this run for survival! All 4000 entrees for the first Zombie Night Run was sold out in just a matter of weeks! After it was sold out, many others who were eager to join the fun approached us, but regretfully we had to turn them all down. This time there are only 2500 precious entrees available, apply early to avoid any regrets! 4. After checking payment, we will email/SMS participants to confirm. G10, BLK A, Akademik Suite, Jalan Austin Heights Utama, Taman Mount Austin.81100. Johor Bahru. Johor. 53-01, Jalan Mutiara Emas 2A, Taman Mount Austin. 30, Jalan Sutera Tanjung 8/4, Taman Sutera Utama, 81300. Skudai.Johor. 1. What is ZOMBIE NIGHT RUN? How do I play? a. – This is a 5km outdoor fun run. The entire route will be separated into different zones and areas, and participants will encounter different scenes and incidents throughout the run. Participants only need to remember one thing, protect their lives, and head towards the finishing point! 2. How much is the registration fee? Are there any early bird discounts? What is included in the price? a. – Register before 26th August to enjoy our early bird promotion at RM66/pax. After that date, our registration fee becomes RM78/pax. Participants will get a special shirt for this effect and attractive vouchers. Those that finish the run will also receive a special medal. 3. When can we receive the shirt? Where do I collect it? Can it be mailed to me? a. – We will email or telephone participants to inform them when the shirt is ready to be collected between 20/09/18 – 05/10/18, at our shop LOST in JB (Mount Austin Headquarter) G10, Block A, Akademik Suite, Jalan Austin Heights Utama, Taman Mount Austin. For those who are unable to visit us for collection, you may choose to have it delivered to you at a postal cost of RM10. We will mail out the clothes to the given address. 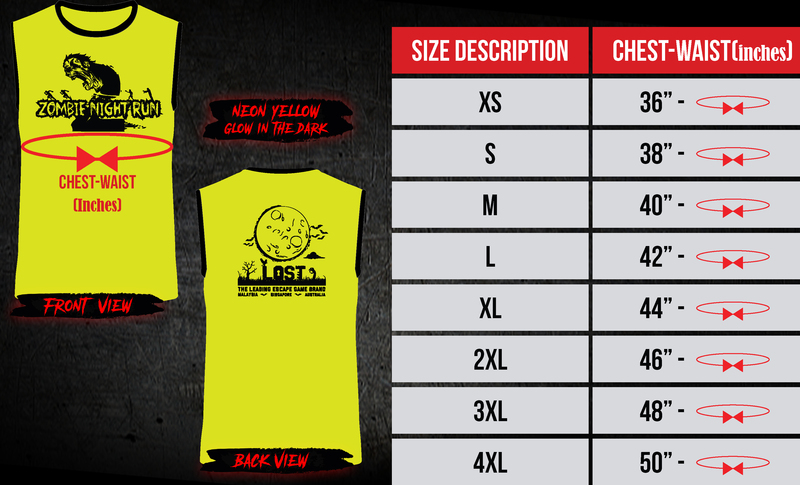 Only those wearing our official event shirt will be able to join the run. 4. How long is the event? What time does it start? What time will it end? a. –The event will start at 8pm, followed by a stage performance and the start of the run. We estimate the event will end around 10:30pm. a. –There is no age restriction. However, those below 12 years old should be accompanied by their parents. a. –Yes, participants are allowed to put on their own makeup before coming to the event, as long as they wear our official event shirt. 7. Will it be dangerous for participants to run on the streets? a. 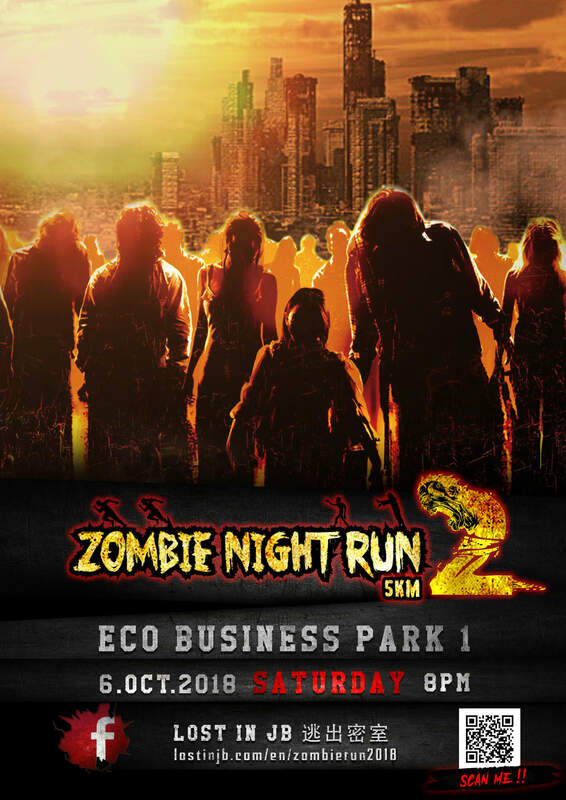 – Eco World has provided us with an excellent venue for our Zombie Night Run event. They have let us use Eco Business Park 1 (Phase 2) which is currently under-development, and thus has very little traffic. Eco World’s security team will assist us with the event, and we will also work with them on planning out the route so that the event can run smoothly. 8. Is there a prize for reaching the finishing line? 9. Can we bring our phones or cameras to the event? a. – There is a chance that you’ll get slightly wet during the event. If you wish to bring your phones or cameras, please ensure that you keep them safe. 10. Can participants touch the zombies or other performers? a. – No physical contact, attacks or verbal assault on zombie/ performers is allowed. Those who violate this rule will lose their right to complete the run. Our performers will also keep a safe distance from participants, avoid physical contact.